The colours are quite natural and the contrast is good too. The sunlight legibility is quite good thanks to the good contrast and less reflectivity. The brightness is good enough for most situations as well and the minimum brightness is quite low which allows you to use the phone in the dark without much strain to your eyes. users can enable ambient display which will wake up the phone display and show you the notifications when you receive them or when you pick up the phone. There is also a nice notification light hidden under the loudspeaker grille. There is not much you can do to customize the saturation or colour temperature on the phone. You can turn on adaptive brightness that will adjust brightness levels based on the ambient light. Registering a fingerprint is really easy. The feature is called Nexus Imprint and you can add multiple fingerprints to the database including your friends’ or relatives’. The process of registering a finger too is one of the fastest on any phone as it take just 6 taps. You just place your finger on the sensor, lift when the phone vibrates and repeat. You need to set up a backup PIN, Password or Pattern in order to access the device when you are unable to use the fingerprint sensor for authentication. Apart from unlocking the device, your fingerprint can be used to grant access to apps and authorize purchases over Android Pay or on the Play Store. You can either unlock the device by waking it up first by pressing the power button then placing your finger on it or by just placing your finger over the sensor even when the phone is asleep. The Google Nexus 5X has good call quality both over the earpiece. The loudness is more than enough for noisy environments too. The noise cancelling microphone makes sure that your voice gets conveyed easily to the party at the other end. The loudness through the speaker is good enough but the clarity is a bit poor. At times, it gets distorted and might require the person who is calling to repeat what he/she is saying. The stock keyboard is Google Keyboard which is one of our favourites. It is a no-nonsense keyboard that has good spacing and layout that facilitates fast typing. The screen is also large enough for easy typing even for people with big fingers. In case you want to use a different keyboard, you can download a 3rd party keyboards from the Play Store. The UI is just as you would find on any other stock Android. There is an app drawer that displays the apps that you can scroll through vertically. The notification drawer can be accessed by pulling down the bar at the top. You can remove individual notifications or all at once. Pulling it down further will give you quick toggles and shortcuts as well as a brightness control slider. You can also choose the user or guest from here. The 5X supports 4G LTE with support for Band 3 (1800 MHz) and Band 40 (2300 MHz) in India. It has a nanoSIM slot but there is no dual-SIM model available. The Nexus 6P is not available in a dual-SIM model either which is a shame considering many people would’ve benefited from such a variant. We aren’t sure if Google plans on launching such variants in the future though. The typical microUSB port is replaced with a USB Type-C port which has still not been adopted widely. However, the good thing is that it will be future proof. LG has included a USB Type-C to Type-C cable in the box however there is no Type-C to Type-A cable and thus transferring stuff from PC to the phone will require you to get an adapter or separate cable for that. The 6P does come with a Type-C to Type-A cable as well and while we understand that they have excluded it from the 5X to cut costs, it would’ve been wiser to include just a USB Type-C to Type-A cable instead. USB Type-C along with Marshmallow also brings about several other new features. For starters, users can now choose to just use the USB to charge their phone or for file/photo transfers as usual. But additionally, they can use their device to charge another device which is where the Type-C to Type-C cable comes in handy. So you could say charge your Nexus 5X with your Nexus 6P or your OnePlus 2 with your 5X for example. You can even connect and use your device as a MIDI input. The 5X supports Bluetooth 4.2 as well as dual-band Wi-Fi 802.11 a/b/g/n/ac. It is powered by the hexa-core Snapdragon 808 processor which is also found on the LG G4 as well as the Moto X Style. There is 2GB of RAM as well on-board out of which around 1.1GB is in use when just the default apps are running in the background. There is a new memory manager as well that comes with Marshmallow. You can view the average memory used by the phone over the past 3, 6 or 12 hours or even one day. The performance of the Nexus 5X is quite good thanks to the stock Android experience. 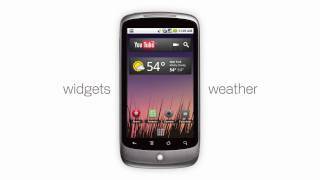 Navigating through the phone is butter smooth without any lag and it never crashed or rebooted on us. 2GB of RAM does suffice for multi-tasking as well although more RAM is almost always welcome. Here are some of the benchmarks results posted by the LG Nexus 5X. For the full list of benchmarks, check out this post. You can also check out our gaming review of the smartphone in the video below. 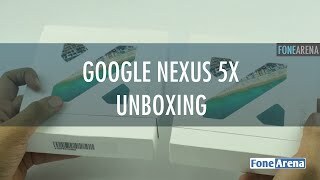 Google Nexus 5X Gaming Review Google Nexus 5X Gaming Review by FoneArena. 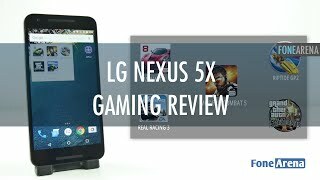 http://www.fonearena.com/blog/ reviews the gaming perforamance of the Google Nexus 5X . The LG Google Nexus 5X is powered by Qualcomm MSM8992 Snapdragon 808 chipset with Dual-core 1.82 GHz Cortex-A57 CPU & Quad-core 1.44 GHz Cortex-A53 CPU, Adreno 418 GPU and 2GB of RAM. We tested games like Asphalt 8, RipTide GP 2, Real Racing 3, GTA San Andreas and Modern Combat 5. The default music player on the 5X is Google Play Music. It shows you content that is stored both locally as well as online. Users can sort tracks in terms of track title, album, artists, playlist and folders. You have the vote up or down controls as well as the usual playback controls in the now playing screen with the album art. There is an equalizer as well with different presets or you can define your own. There is a surround effect that works with both headphones and speaker and a bass boost feature that works with just earphones. The audio quality is pretty good over earphones and the volume is more than sufficient too. There is hardly any stereo cross-talk but the dynamic range isn’t too impressive. Especially the lower end of the frequency seems a bit muffled. The speaker is decent in terms of loudness but the clarity is a bit poor. Especially at higher volumes, there is a bit of distortion and the music played back lacks definition. The primary camera on the Nexus 5X is a 12 Megapixel camera with dual-tone LED flash and Laser AF. In terms of image quality the phone does really well. Images are bright, well detailed and have good colour. White balance too is spot on and the Laser AF is quite fast to lock onto a subject. However, we have seen phones with faster AF even without laser assist. Sometimes the AF does hunt a bit especially on tiny objects or subjects in the frame. The camera has a maximum aperture of f2.0 which can take images with really good bokeh when focused up close. The dynamic range is pretty good too but sometimes the highlights are blown out of proportion. This can be solved using the HDR+ mode. But even in the said mode, the phone can take very different photos and in our experience what worked best is to meter on the shadows. That was the phone recovers enough details from the shadows and makes sure that the highlights aren’t blown out. Low-light shots do a good job at keeping the noise in check. As the light reduces, there is a gradual increase in the noise levels but nothing alarming and is one of the best we have seen perform in low-light. 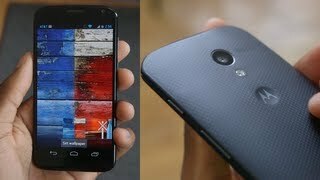 The phone also has a dual-tone LED flash that is really powerful. Thanks to the dual-tone it captures skin tone much better as opposed to a single tone flash colour. The flash also doubles up as a really capable flashlight. The main thing missing here is OIS but considering the price point, we could perhaps understand that cost saving was one of the reasons why Google omitted it. The shutter speed is fast enough in most conditions to eliminate shakes but the lack of OIS is definitely affects videos. Click on any of the photos below to get the full resolution samples. The images on the left are taken in normal mode while the ones on the right are taken in HDR+ mode. Videos shot on the Nexus 5X are really detailed and have good colour as well but unfortunately there is no OIS to keep the video stable. As a result every movement looks too sudden and jaggered which is a shame as we can only imagine how good the videos would’ve looked with OIS as well. There is no software stabilizer either like Moto or Sony. We at least wish they had some sort of software stabilization even if it did narrow the field of view. The Nexus 5X can record videos at a maximum resolution of 4K at 30 fps. 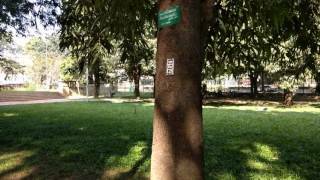 Check out the 1080p sample below. We will be adding the 4K sample soon. The front camera is a 5 Megapixel unit that is also capable of recording 1080p videos at 30 fps. The image quality is pretty decent for a front facing camera as it produces bright images and takes them quite fast. The detailing isn’t great though but should be good enough to share on social media. Additionally the 5X can also capture slow motion videos at 120 frames per second at 720p resolution. The camera software is pretty ease to use. When held in portrait mode, you have the camera switch key at the bottom left, the shutter button at bottom centre and gallery shortcut at bottom right. There is a mode switch above the shutter button that toggles between photo and video modes. At the top left, you have the settings and at the top right, you have the controls for timer, HDR modes flash. In photo mode, users can choose between regular photos, photo sphere, panorama and lens blur. Video mode allows you to choose between regular 30 fps videos or 120 fps slow motion videos. Users can capture 4:3 aspect ratio images at a maximum resolution of 12.2 megapixels and 16:9 aspect ratio images at 8.3 megapixel resolution. The photo sphere mode works really well and the stitching is one of the best we’ve seen on a smartphone. Users can also specify the quality of their panorama photos. The Nexus 5X comes with a built-in 2700 mAH battery which is a 400mAH bump over the Nexus 5 battery. However the battery has to power a screen that is 0.2″ bigger. Nexus phones of the past have had bad battery life and while the Nexus 5X isn’t great in terms of battery life, it is most definitely better especially in terms of standby power drain. Thanks to the Doze feature, the standby power drain is just a percent or two over several hours. So even if you charge up the device before sleeping and leave it unplugged overnight, you should still have around 95% of charge the next morning. The device scored a one charge rating of 8 hours and 22 minutes which isn’t much but we haven’t taken the standby time into consideration for this test. For the full-fledged battery test results, check out this post. The USB Type_C port is a welcome change but we recommend carrying around an adapter just in case you need to charge your device. The bundled charger from LG has a maximum output of 3A and has a USB Type-C out which is why LG have provided a USB Type-C to Type-C cable. So in case you want to charge your 5X using another adapter, you will most definitely have to get a Type-C to Type-A adapter unless you have another charger with a Type-C port. The Nexus 5X provides better battery life than the Nexus 5 but even then it won’t provide heavy users with an all day-battery life. But now with the ability to send IMs from your laptop or PC and with the Doze feature, at least your device isn’t sipping too much of battery when it is in sleep. The LG Nexus 5X is not without faults and it probably isn’t the best Nexus phone to buy either. 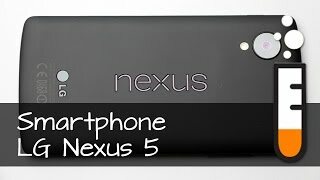 But it is a worthy update to the aging Nexus 5 and while I may not have recommended it at the initial price at which it was launched in India, since it was too close to the Nexus 6P in terms of pricing, the 5X is definitely worth your money at its new price point of around Rs 23,000 for the 16GB version. At that price point, it offers really good value for money. If you want a snappy phone with a good camera, display, fingerprint sensor and a stock Android experience, then look no further. However, do choose your storage variant wisely when making the purchase. 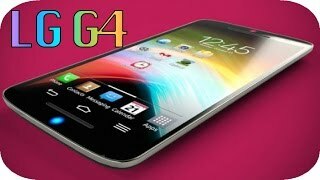 NEW LG G4 - My Opinion - Best Smartphone of 2015?